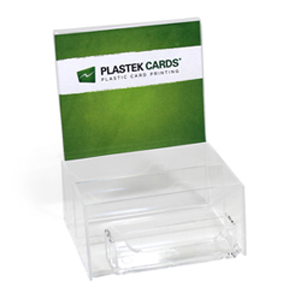 Displays both envelopes and gift cards. Pocket is 4.75″ wide (inside dimension) x 2.750″ deep. Card holder on front holds standard gift cards or business cards. Sign holder fits a 4.75″ wide x 4″ high graphic.